Rudder, Elevator, Throttle Control. 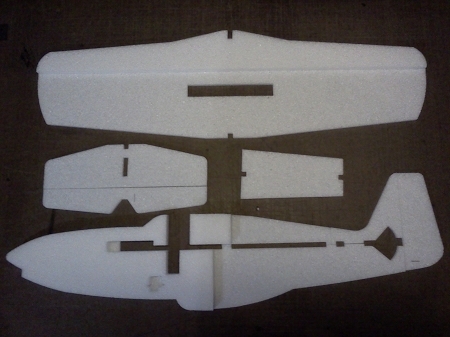 Wing Span: 31" Wing area 262 sq. in. Weight ready to fly 6.5 oz. The Ezfly was designed as a trainer to get my daughter flying. 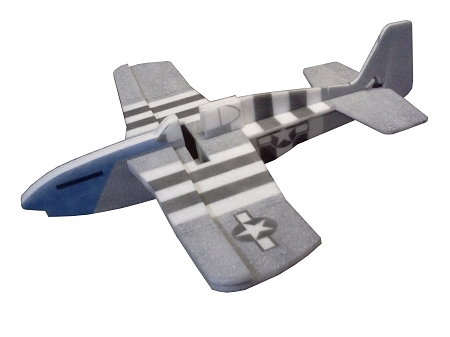 It is a fun easy flying plane for indoors or out. It has smooth dosile flying characteristics with a dihedral wing and rudder, elevator, throttle controls to make it simple for a beginner to understand. It can fly at a walking speed so they have plenty of time to make corrections. The nose is tripple thick EPP foam and the motor is mounted mid plane to minimize damage from crashing. Being EPP if it does break or tear it only takes a little glue and a few minuets to get it flying again. The construction is easy with the alignment tabs. 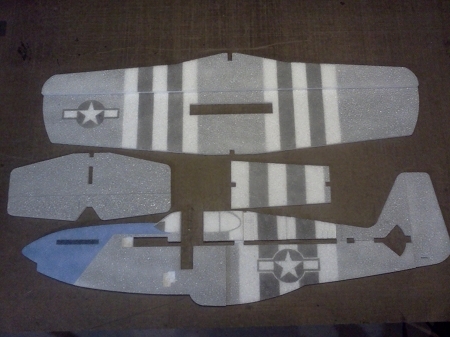 Kit includes the laser cut foam parts with the bevels and spar slots finished as well as a hardware pack containing the spar, push rods, control horns and motor mount. More details can be found on the EzFly thread on .